SS Resource Tycoon: Compete for Angel Protea and L4 Broken Galaxy! 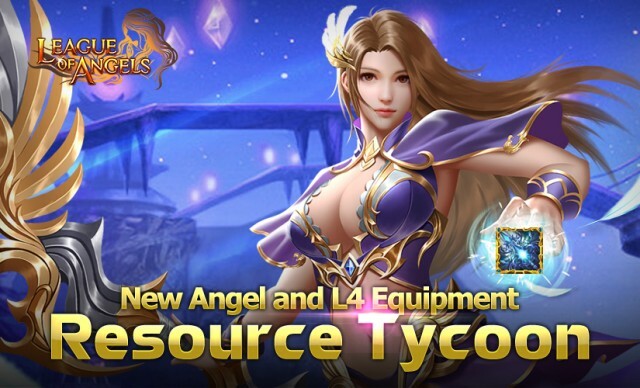 [Announcement] SS Resource Tycoon: Compete for Angel Protea and L4 Broken Galaxy! New angel Protea descends! Quiet and contemplative, the violet dress suggests her mysterious past and the intrigue of what lies ahead.The plume on her head and the scattering of feathers in the air are proof of her skill "Flightless Arrow". Protea will make her debut in Single-server Resource Tycoon from June 10 to June 15! The mysterious angel, as well as Pristina will both be available in the 6-day event and wait for the bravest the warriors to take them into their squad! Plus, ranking No.1 in the server will be able to take the famous (L4)Broken Galaxy as well! Come below for more details! From June 10th to June 15th(server time), the No.1 player in the overall ranking in Single-server Resource Tycoon this time will have the honor to unlock Angel Protea and (L4) Broken Galaxy.Ranking 2nd and 3rd will be able to fight alongside angel Pristina. You can also exchange them for older but still gorgeous angels in Tycoon Mystic Deal from June 15th to June 17th! 1. More Tycoon Certificate are added in the overall ranking. 2. The max points limit in ranking is increased to 10M points in the latest version, which means you will be able to get Lvl. 14 Fusion Gem Chest and other rare resources as the ranking rewards. Don't forget to check them out! 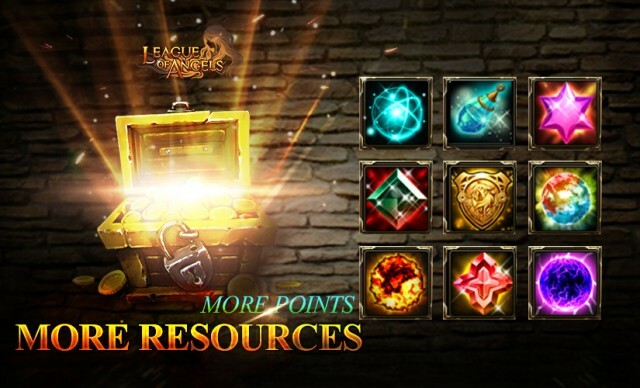 Players can gain points by collecting required resources during the event, i.e. Gold, Magic Mount Soul, Beast Crystal, Angel Tears, Spring of Wisdom, Godsend, Spring of Glass, Flaring Heart, Spirit Essence, Blessed Stone, Odd Fruit, Enchanted Ore, Gems and Gem Enhancement Stone. Friendly reminder: Godsend and Spring of Crystal are newly added this time! Collect Magic Mount Soul, Beast Crystal and Spring of Crystal to gain DOUBLE points! Hurry up! Different events will be available in game during the tycoon period. Don't forget to check them out! Meanwhile, Event Bonus will show up from time to time during the event and bring you Card Lotto Vouchers, Lucky Capsule and more useful items! Please note that the above content might be adjusted due to changes of the development plan. Final updates will be determined in game.More exciting events are coming up through June 10th to June 15th (server time), check them out in the in-game Hot Events menu now! Last edited by Sidhe; 06-08-2018, 06:30 AM.